I’m Nicole. At the ripe age of 20, I have developed a somewhat old-lady habit of sitting in my teeny little dorm room gazing longingly at foodgawker and all their beautiful recipes. I’ve also taken to stalking all kinds of healthy living & food blogs. Now I’ve finally broken down and decided to make my own. I’m a sophomore studying Psychology and Biology at a university in the Bay Area. My family lives in Seattle (where it’s soggy), so I ran away to the sunshine. Originally, my family is from Brazil; I was born there, but moved to Seattle (courtesy of Microsoft) when I was about 1. Actually, this blog is fully experimental. I bake. I babble. I blog about it. I’m new to all this, so I don’t know where exactly it will go. Originally, I had in mind a sophisticated baking-blog. Then I veered towards a more personal, whimsical blog. And now my blog is in its teenage years, confused and uncertain of who it is. But it’s always an adventure! While I rarely bake at school (something I’m hoping to change), I have a stockpile of cookies and recipes from back home, that will hopefully be interspersed among random anecdotes and me pretending to be witty (and you playing along… hint, hint!). Questions? Comments? Concerns? Want to tell me your life story? Shoot me an e-mail at cookiesncarrots@gmail.com . I promise I’m friendly. Your blog is lovely! I’m also a little old lady trapped in a young body, lol. I love cooking & gardening & crafting & whatnot. Maybe this is just the trend of a new generation? Anyhow, I love the blog; keep up the good work! we are soul sisters mollie :) i do all the same stuff, and i think everyone needs to embrace the fact that we kiddos in our young 20s do “dorky old lady” things and that they are AWESOME!! Aww, thanks! That made my day. :) It’s just a fledgling for now… I think I’ve messed with this “about” page about three times in the past 24 hours. Thanks!! :) I’m toying with changing it slightly, but we’ll see… It took me awhile to think of it haha. Hey, girl! We sound so alike — I totally stalked food gawker in my apartment this year :) and I also pretend I’m witty hehe. Can’t wait to read more! Yay for fellow psychology majors! And biology was my initial college major, so I suppose I should say yay to that too! Is that your bra in the picture? Sorry… had to ask! I’m not a psychology major, but as a communication studies major, I guess you could say I’m the girl that people watches any chance she gets, reads too many healthy living blogs, and over analyzes everything, hehe. I look forward to reading your blog! I’m so glad you commented on my blog, I’m loving yours! Oh my gracious, I had never heard of food gawker… until now. Thanks for opening my eyes to a whole new world! I see many many wasted hours in my very near future, haha! Hey Nicole! Nice to meet you and maybe I SHOULDN’T look at foodgawker…I-scared. Haha. Ah! I’m so jealous you’re in the Bay Area. I visited for the first time last summer and left a huge piece of my heart there. Any idea what you want to do with your psychology + biology degree? Hi! Just found your site and wanted to say hello! Hehe, you could say I ran away to the sunshine too, of Colorado :) Connecticut is too cold and cloudy! Really enjoyoing what I’ve seen so far of your blog:)Can’t wait to read more!! Yo! 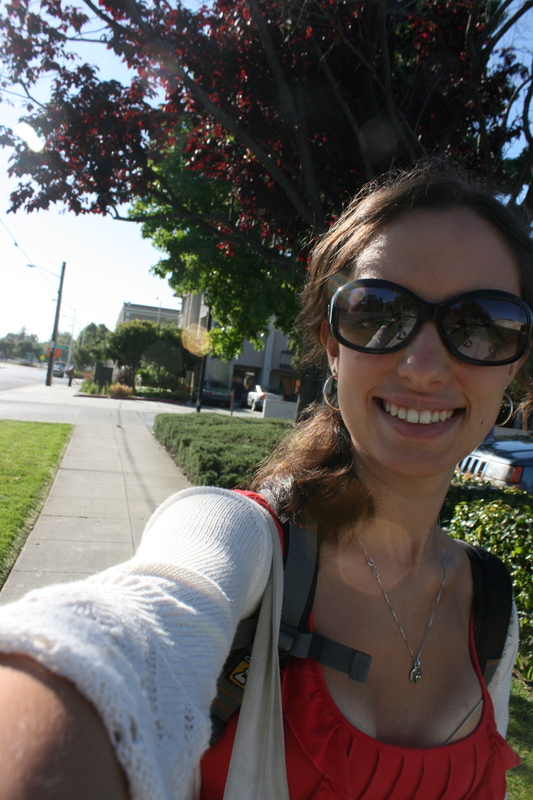 I used to blog but now I’m just a reader — I’m studying psych in the bay area too! we should chat and be real person friends! I love your blog <3 I'm so happy that we've connected! I have a feeling we'd be friends in real life ;-) You are so pretty! You are have such a bright, beautiful smile :-) You shine, sista! I love how you’re just going with the flow and writing about whatever you feel like writing about. Who needs a concrete theme, anyways!? You are beautiful:], just like your blog…..
You may have just cause me to ruin myself! I just bookmarked food gawker! I am drooling and getting excited about going back there. You have already had a bad affect/effect on me! Just kidding, I love food and it shows. How do you find the Bay Area? I really want to visit Seattle! And Brazil!! !